Make a dot of glue on the back of a glass bead and quickly adhere it to the top of your glass container. Continue gluing and lining up the beads up around the candle holder. 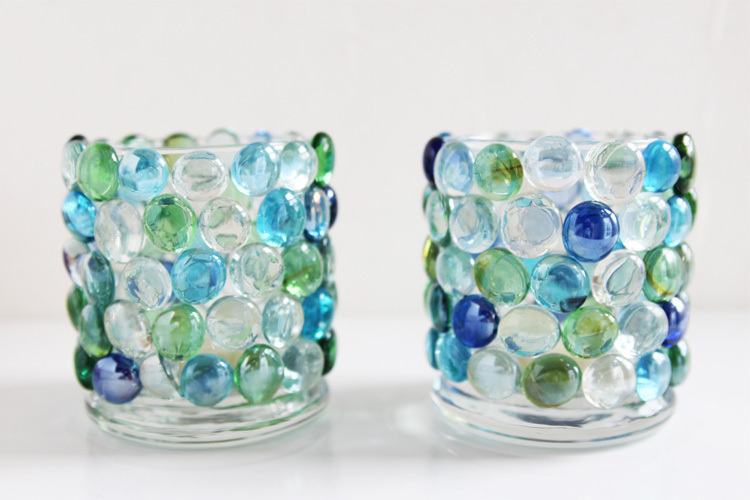 Once it is filled with beads, add a votive and you are finished!